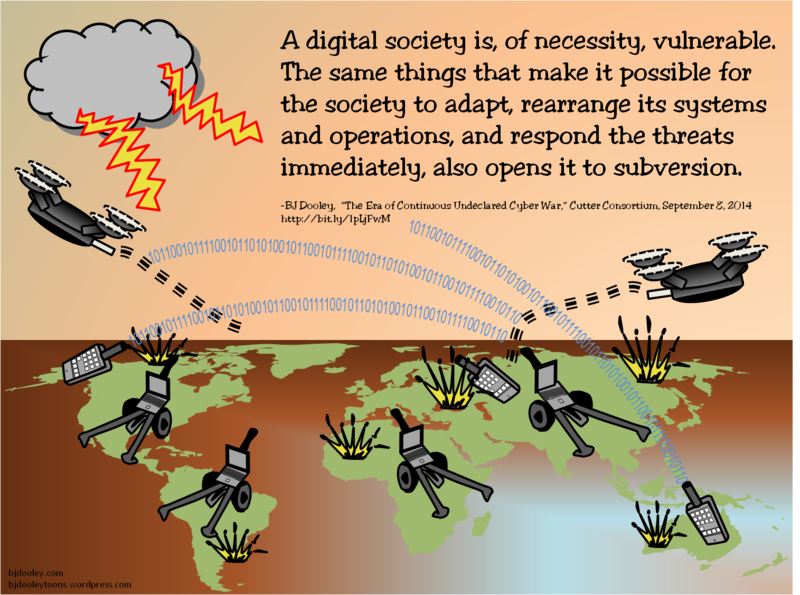 A digital society is, of necessity, vulnerable. The same things that make it possible for the society to adapt, rearrange its systems and operations, and respond the threats immediately, also opens it to subversion. Profound business change is thwarted by sheer complexity as well as by resistance. 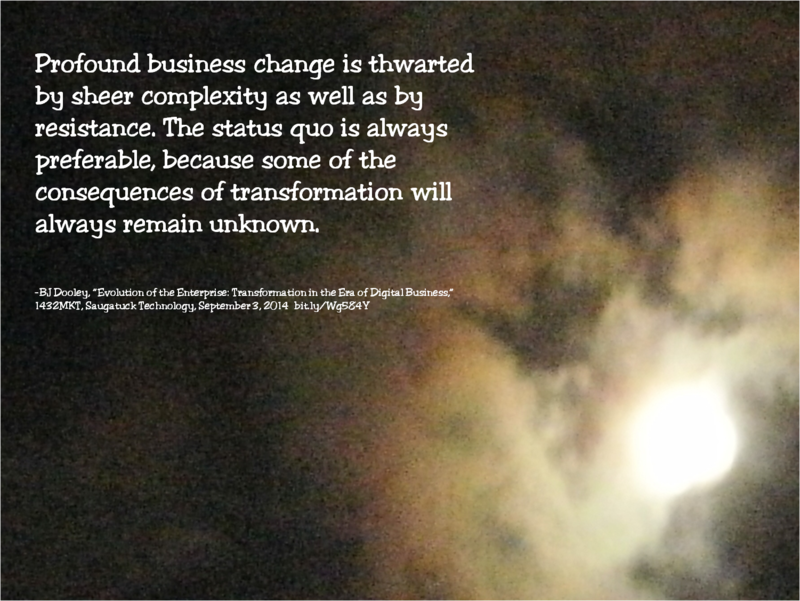 The status quo is always preferable, because some of the consequences of transformation will always remain unknown. 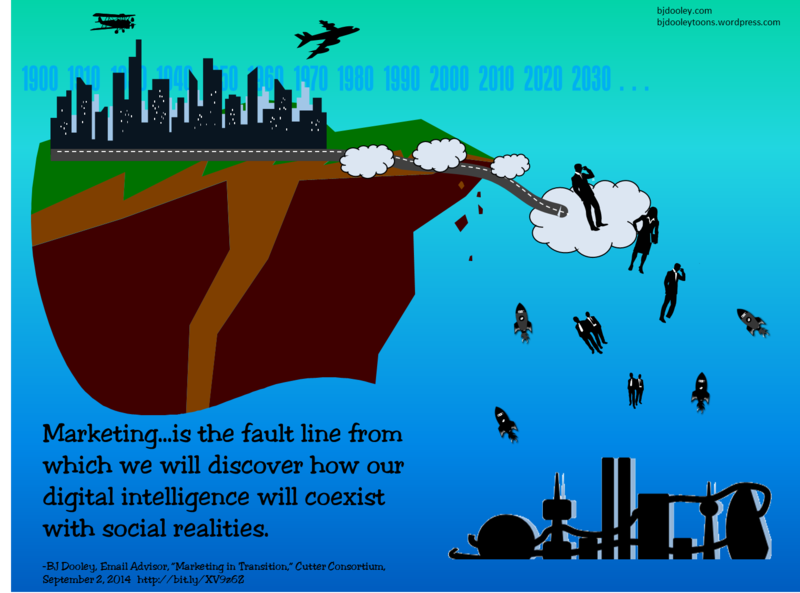 Marketing…is the fault line from which we will discover…. Marketing…is the fault line from which we will discover how our digital intelligence will coexist with social realities.